When the Ricardos and the Mertzes arrive in Hollywood, Lucy goes to the Brown Derby restaurant where her sighting of William Holden turns catastrophic. After Ricky and Fred get upset about the girls' spending, Lucy and Ethel go to work in a candy factory while the boys do the housework. How many episodes of I Love Lucy have you seen? Fred Mertz: We'll sue you. Ricky Ricardo: Yeah? We'll see who's gonna sue who. "I Love Lucy " is Television!!! The series, "I Love Lucy" could be the most classic T.V. show in the history of television!! Lucille Ball incorporated slapstick stunts in situations that would utterly appall many insufferable people!! The cast is great!! Comprising of; Lucille Ball, Desi Arnaz, her real life husband, Vivian Vance, and William Frawley.. Originally, the parts of Fred and Ethel Mertz were suppose to be played by Gale Gordon ("Here's Lucy") and Bea Benederitt ("Petticoat Junction").... While both of these performers were very talented, they sought other avenues, and Vivian Vance and William Frawley stepped in!! From there, the television audience could not imagine any two other people playing the role of the Mertz couple!! 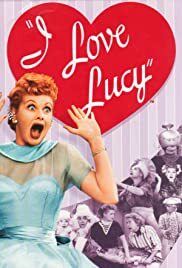 "I Love Lucy" was very successful for many reasons, one being that the ethnicity recognition sparked a behavioral candor which was identifiable with many people who watched television !! Special guest stars contributed to the popularity of this show tremendously!! Desi Arnaz, who was very talented, became a likable element on "I Love Lucy".. Yet, first and foremost, Lucille Ball, (An RKO Queen) and her wiles of chicanery, are what symbolized the auspicious trademark to this program!! Lucy was the lovable mischief maker who garnered a camaraderie with the small screen viewer!! 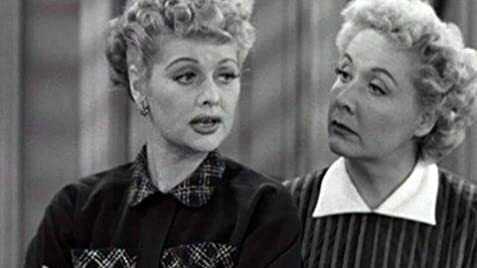 Her later shows were classic as well, but, "I Love Lucy" was the show which most sticks out in everybody's mind as the stellar sitcom in Lucille Ball's career!! For years and years "I Love Lucy" has been enjoyed by generations of television viewers, and it will continue to be enjoyed by more and more generations in the future!! "I LOVE LUCY" IS TELEVISION! !